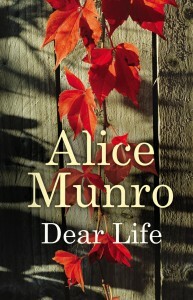 Alice Munro has long been hailed as one of the very best short-story writers in the English language. Four fascinating semi-autobiographical pieces at the end of this new collection show the influence of incidents and undercurrents observed in childhood and youth, as the author acknowledges her own strong reactions to events. Rivetingly, we also see her acknowledging the lives and selves of others from an early age. In ‘Night’, teenage Alice is recovering from surgery. Little is demanded of her, and her days are lazy. At night, she cannot sleep. On one of her interminable walks, she encounters her father, also waiting. She confesses that she has thought of strangling her younger sister, and that this is what is disturbing her. Instead of being shocked, he helps her: ‘People have thoughts they’d sooner not have. It happens in life.’ What is most remarkable here is Munro’s ending, where she thinks about why he was out there at dawn, sitting on the stoop.What was he worrying at? Speaking of being ‘caught’, this is one of Munro’s favourite subjects. In her stories, the men are often to be seen laying down the law, losing their money, breaking their backs on the farm or going off to war; they puzzle over their wives and daughters, or fail to commit in the first place; some are magnificently (or maddeningly) tolerant or wise, but most are not quite all they are cracked up to be. The women can be difficult too: unscrupulous, provocative, devious, deranged. Mostly, though, these average men and women are destined to be bound together, and they do not always like it. It is the not liking, the war between mutual dependence and freedom, that Alice Munro catches so well – whether she is writing about lovers, siblings, husbands and wives or parents and children. Another hugely rewarding volume from a mistress of the art.